A very popular cheese from Greece and could be used as a table cheese served as an appetizer with olives and wine, grated on pasta or made into saganaki. One of the most popular and known as the king of cheese from Italy. I absolutely love this cheese in every way. 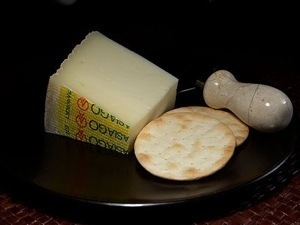 Another Italian cheese, but it’s also made it canada. Excellent accompanied by red wine. From Greece and could be used in cooking, on pizza or grating on pasta. A fresh soft cheese from Italy, not aged or salted and is popular for Caprese Salad. haloumi is usually from Cypress and will hold together on barbecue or grill. A very tasty Swiss cheese. Hails usually from France or Quebec in Canada and is a versatile cheese, my fave with crackers. It has a more acidic or sour flavour. It is often added to pasta and has a great flavor. Again it hails from Greece. The most popular cheese of Greece and it’s really gaining popularity around the world. It’s the cheese for Greek salad. 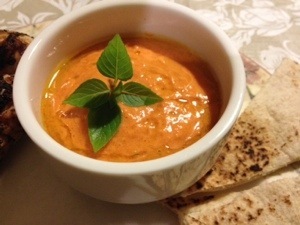 In Greek this dip has been referred to as kopanisti. This dip is simply amazing, I have made it for parties and people wanted to lick the bowl. The sweetness of the bell peppers, smokiness from the grill and the contrast with salty feta cheese and the spicy chilli pepper gives it a kick. I’ve given out the recipe to several friends, if you like it spicy add more chilli peppers alternatively you can use pickled pepperoncini or even pickled banana peppers for the heat, or just leave it out if you prefer without spice. 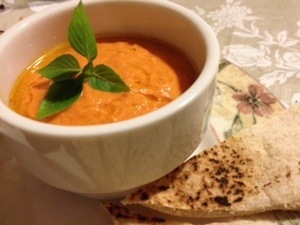 The dip really can go well with crackers, pita bread, veggies or even chips or crisps. 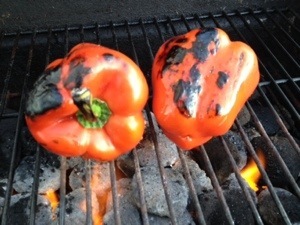 Put peppers on the grill or oven broil for about 10-15 minutes turning often to char the peppers all around. When done transfer to a bowl and cover them with plastic wrap while they are still piping hot- allow the peppers to steam for 15-20 minutes. When the peppers now have steamed and have cooled down enough to handle take off the stems scape out the seeds and peel off and discard the charred skin. If needed rinse the peeled peppers under cold water. Combine all inqredients in a food processor except olive oil and pulse until well combined. Transfer to a bowl stir in oil until desired consistency is achieved. Can store in the refrigerator for one week in a sealed container but I think once you taste it it won’t last the day.